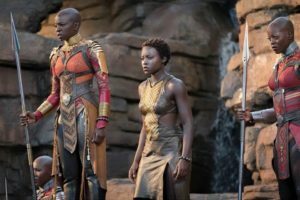 Marvel Studios' Black Panther now available on Digital, Movies Anywhere, Blu-ray & 4K | DaDa Rocks! Marvel Studios’ “Black Panther,” is a global cultural phenomenon! 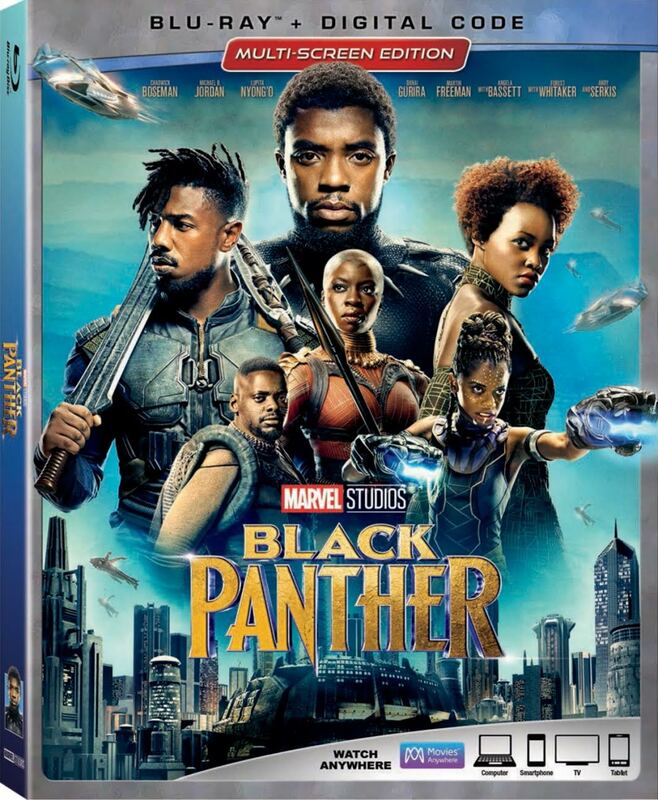 Through the 4K Cinematic Universe Edition of “Black Panther,” fans will experience the exhilarating adventure in stunning 4K Ultra HD with next-generation high dynamic range (HDR) visuals and Dolby Atmos immersive audio. Never-before-seen extras feature commentary from director Ryan Coogler; deleted scenes; outtakes; and several making-of featurettes, which detail the Black Panther’s evolution, the remarkable women of Wakanda, the history of T’Challa’s proud nation, and the cosmic origin and technological applications of vibranium. 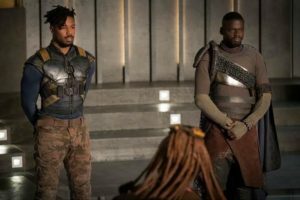 Also included are a roundtable discussion with “Black Panther”filmmakers and writers; a featurette tracing the countless connections between heroes, characters and storylines within the Marvel Cinematic Universe. The film features a fierce group of Wakandan women, including Nakia (Academy Award winner Lupita Nyong’o), a War Dog and Wakandan spy; Shuri (Letitia Wright), T’Challa’s little sister and tech wizard; and the Dora Milaje, the all-female Wakandan Special Forces led by Okoye (Danai Gurira). They team up with reluctant ally CIA agent Everett K. Ross (Martin Freeman) to help T’Challa defend Wakanda against the forces threatening to destroy it. The extraordinary ensemble cast of “Black Panther” also includes veteran actors such as Academy Award nominee Angela Bassett as Ramonda, T’Challa and Shuri’s mother; Academy Award® winner Forest Whitaker as Zuri, the spiritual leader of Wakanda; and Andy Serkis as Ulysses Klaue, an illegal arms dealer; and standout performances by Academy Award nominee Daniel Kaluuya as W’Kabi, Royal Counsel to T’Challa; Winston Duke as M’Baku, the formidable leader of the Jabari tribe; and Emmy Award-winner Sterling K. Brown as N’Jobu, a Wakandan War Dog. The action in “Black Panther” is intensified through a musical score by GRAMMY-nominated composer Ludwig Göransson and soundtrack curated and produced by GRAMMY Award-winning global superstar Kendrick Lamar and Billboard Magazine’s Executive of the Year Anthony “Top Dawg” Tiffith. “Black Panther: The Album” topped the Billboard 200 chart for five consecutive weeks and the end-credit track, “All The Stars,” featuring Lamar and SZA, spent nine weeks in the top 10 on Billboard’s Hot 100 chart.